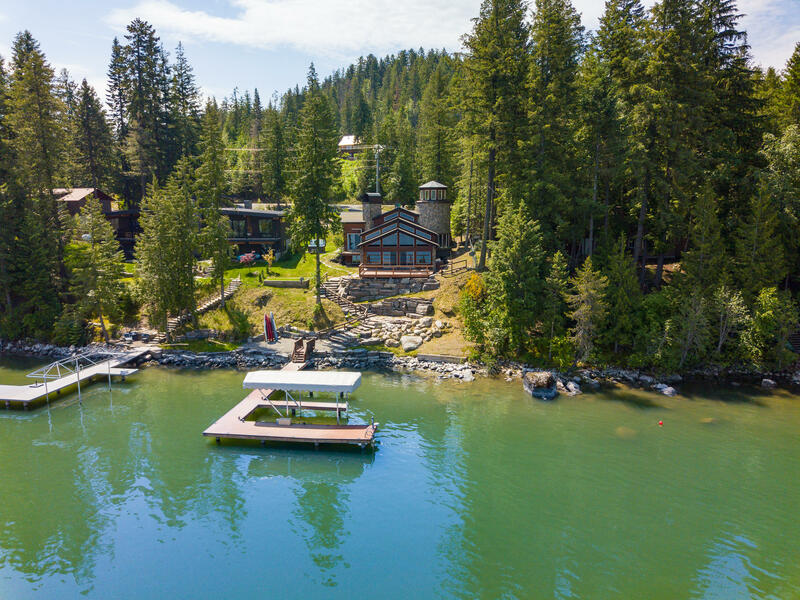 Imagine yourself in this Exquisite custom craftsman style waterfront home on the Pend Oreille River. With 81 feet of pristine frontage and captivating views of Lake Pend Oreille, Schweitzer Mountain and Sandpoint Idaho. Featuring a gourmet kitchen with granite countertops, Viking range, Jenn-Air refrigerator and dishwasher, curving bar, turret styled breakfast nook and butler's pantry with wine fridge. The home has a whole house water filtration system providing clean and cold drinking water. Unparalleled architectural detail throughout this spectacular home with masonry stone work, hardwood floors, tongue and groove ceilings, floor to ceiling stone fireplace and floor to ceiling windows to showcase this spectacular view.